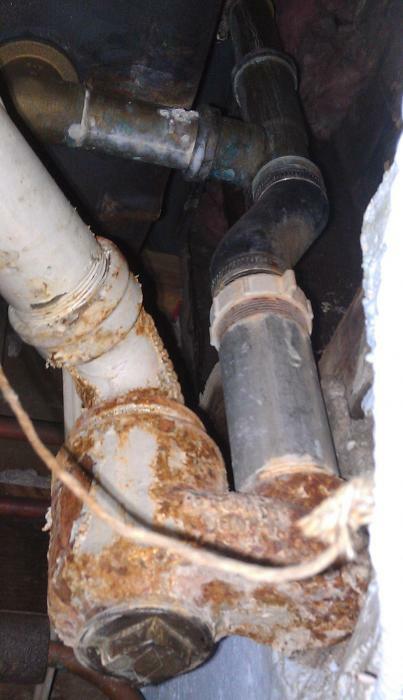 Overflowing of water threw a plumbing fixture due to a drainage block. Having a backed up drain isn’t fun. Before panicking step number one is to make sure all the water is off on the property. Next go onto your computer and search for a plumber that services your area and call at least two different people. We don’t recommend people going to buy chemicals for $5 and try cleaning drains themselves. Ninety five percent of the time people end up calling a professional anyways and after more of a nightmare has occurred. Don’t pour any substance that you buy from a store down your drain without consulting a plumber first. If your not familiar with cleaning drains don’t try and tackle it yourself. Having a broken pipe in the wall isn’t a fun repair if you don’t service this kind of work day in and day out. Starting a relationship with a plumber you can trust is the way to go. Call in and trust our company. Click Here to Friend us on Facebook for huge discounts.